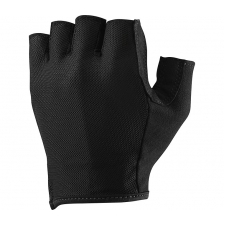 Replacing the former best-seller Ksyrium Elite glove, this Essential Gel glove features comfortable gel padding and effective moisture management. 3 zones of gel padding developed for long-distance rides. 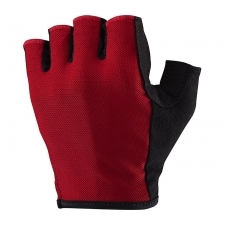 Keep your hands cool, dry and comfortable. 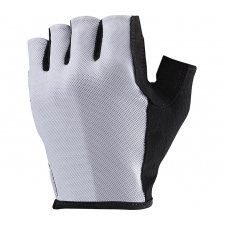 Moisture-wicking 4-way stretch, breathable open mesh fabric on back of hand, and synthetic leather perforated palm. Soft nose wipe on thumb to absorb sweat. Simple on/off pull tab on cuff makes them easy to remove. Fingertip tabs help make it easier to remove gloves. Buy your Mavic Essential Gloves from Revel Outdoors.